A grassroots campaign has Shamrock Golf Club on the comeback trail. The grooming of the grounds is happening as neighbors and supporters of the course handle a good share of the chores. A greens project is being overseen by a Texas group. 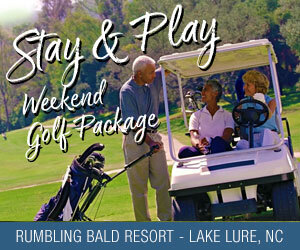 The course is located in Burlington off N.C. 49 a couple of miles south of I-40 /85. Planning has been extensive, Harris said. The group’s board of directors met again June 11 for a session lasting about four hours as many more details were ironed out. A projected opening date has been set at Aug. 12, Harris said, though weather conditions will play a factor because of ongoing renovations. Opening the driving range prior to that date is possible in order to bring awareness to the course’s status. One of the goals for the organizers is to revive the Alamance County Parent-Child tournament, which had been contested for 30 years until it was discontinued last year. That tentatively has been set for Sept. 6-8. “We’ve focused our efforts around the parent-child,” Harris said. But first there’s the matter of returning the 18-hole course to a condition that will attract golfers throughout the year. Harris and Scott Robertson are both residents who live adjacent to the course. They’ve formed a non-profit Shamrock Neighborhood Association to oversee the project. The course, which was constructed in 1955, closed late in 2011. The grounds became overgrown on parts of the course. Robertson mowed some fairways near his home because he wanted there to be appealing areas for potential investors to see. The neighborhood association has worked out a five-year lease arrangement with property owner Will Walker, whose family had been involved in course operations for years. There are nearly 30 investors involved, with many providing between $1,000 and $5,000. Robertson said more are welcome. That could be vital. Harris said in early June that projected costs rose about $40,000 because of an expanded greens project, which began in May and has taken a few twists and turns. “We’ve kind of upped the ante a little bit on what we’ve had to raise,” he said. A strain of bermudagrass will be used for the greens, Harris said. For some greens, the shape of the surface has been reshaped. There will be about 800 tons of topsoil and sand mix used in the renovation project, Harris said. Organizers said they’re hoping, pending the weather, that the greens will be ready in six or seven weeks. A rainy spring slowed some of the work. The greens superintendent will be Sonny Johnson, who previously worked at Arrowhead Golf Club and at Shamrock Golf Club prior to its closing. Shamrock Golf Club became a popular low-cost destination for golfers in the region, particularly after Mebane’s Arrowhead Golf Club (which was alongside the interstate) closed. Harris, who has lived along the course for a decade, said interest in the project has steadily grown since word has spread about the course reopening this summer. Often, people are stopping by to assess the progress. On many nights, there’s controlled burning to rid some of the smaller limbs and brush that has been cleared. Many areas of the grounds became overgrown while the course was closed. The burning down of fairways and rough began during the winter. Nearly 135 trees will be taken down, Harris said. More sand traps will be added gradually. There have been upgrades to irrigation. Harris called the fairways in good order, saying they’ll be cut down more when the opening date nears. The organizers and investors don’t plan on running the daily operations of the course. A manager will be hired, with that person likely handling other hiring. Robertson helped organize the parent-child tournament after the death of former course operator Steve Walker. At one time, the event became so popular that it spread across several days and attracted hundreds of golfers, though in more recent years it was limited to a couple of weekend days. Robertson and Harris said they’ve been encouraged by golfers stopping by to check on the course. At times, they’ve even met would-be patrons who’ve arrived thinking they might be able to play a round. “For a small course, with some neighbors and some supporters of Shamrock, it’s exciting to see it unfold before your eyes,” Harris said.